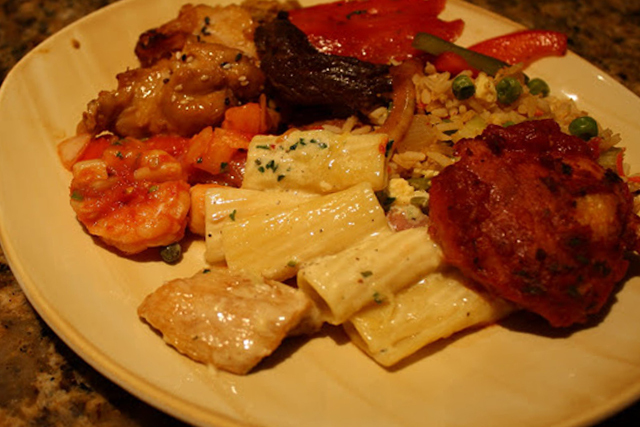 The MGM Grand Buffet is one of the best options in town. If you are looking for a more gourmet buffet with less common dishes the MGM Grand is going to be the best option for you and your family. However, you will want to make sure you are really hungry when coming to this buffet. With all the great options that are available, you will want to have plenty of room to sample all of the delectable dishes without stuffing yourself, too much. Some of the best options include Alaskan king crab legs, grilled to order steak and fish, all you can eat shrimp and prime rib, oven roasted turkey, and that is just the beginning. 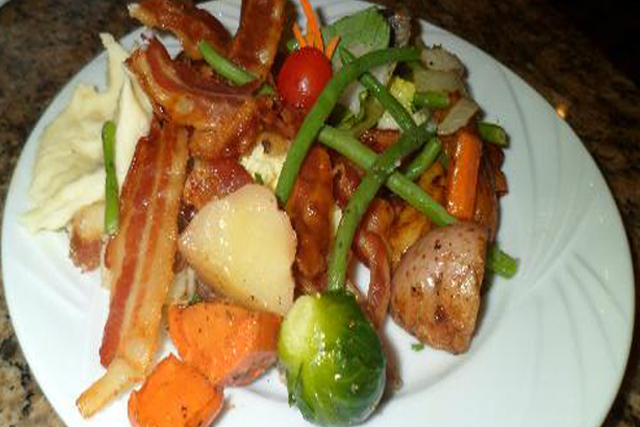 The salad bar is quite extensive and offers much more than your standard salad. You will find plenty of fresh fruits and vegetables, specialty salads, and more on the salad bar. Additionally, there are the live food stations, scrumptious deserts, and a Champagne Brunch on the weekends that offers special made to order omelets and MGM's famous Blueberry Blintzes.